A few weeks ago I moved my sofa from in front of the windows to face the fireplace. 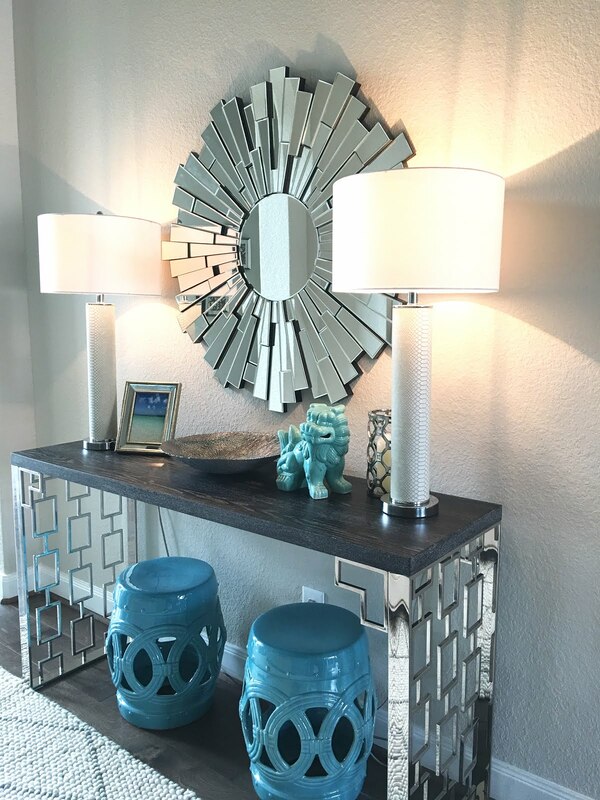 This arrangement never worked with my old leather furniture because it was oversized, but when I saw how nice it looked when Melissa at The Inspired Room did the same I decided to give it a try. I lived with it for a while before I showed you because I wasn’t sure if I’d change it back, but I really like it this way. What do you think? I’ve had this console table for years and decided to drag it back from the garage to see how it would look behind the sofa. I love a table here, but I’m not sure if I will replace this one or make a DIY project of it. Maybe chalk paint and new knobs? Yes, that is a Christmas tree! It's not even close to being done, but I just couldn't wait any longer. I love having a new table to decorate. I moved these candles here from my entryway and then added the rest. The horse is from Homegoods and the vases are from Hobby Lobby. My fingers are crossed I don't kill the orchid! I really like your new arrangement, I think the table works great behind the couch. Looks great! 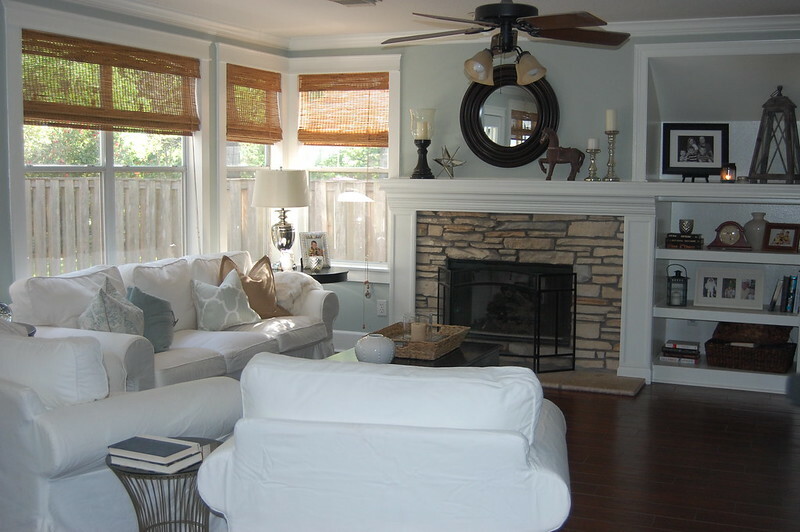 Looks great, and I love a sofa table behind the couch like this. I can't believe you have your Christmas tree up already! :) Can't wait to see it all decorated up. It looks great; so cozy for winter! Jennifer - I love it this way. I remember the last time you changed it, and I liked that, but this, to me, is perfect. I hope you never change it! It looks wonderful. Love the sofa table too!! Hope you're having a great start to your week. Lovely, and your fireplace is beautiful! I like the new arrangement better! The sofa table looks great, maybe stack a few more baskets or old suitcases under.